Seda, a New Jersey native and amateur boxer, hung up his gloves in 1992 when he made his screen debut as a fighter in “Gladiator.” Throughout the ’90s, Seda’s star rose through the films “Carlito’s Way” and “Twelve Monkeys,” though it wasn’t until he appeared in NBC’s “Homicide: Life on the Street” that Hollywood took serious notice. In 1996, Seda received critical acclaim at the Cannes Film Festival for his role in the film “The Sunchaser” opposite Woody Harrelson. Seda played the love interest of Jennifer Lopez in the film “Selena,” based on the true story. 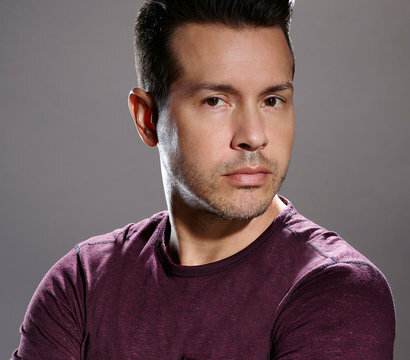 His television credits include series regular roles on “Kevin Hill” and “Close to Home” and recurring roles on “Ghost Whisperer” and “Oz.” Seda has also guest-starred on “Hawaii Five-0,” “The Closer,” “Burn Notice,” “House,” “CSI: Miami,” “NYPD Blue,” “Las Vegas” and “Law & Order,” among many others. In 2010, Seda appeared in the Emmy Award-winning HBO World War II miniseries “The Pacific,” starring as legendary U.S. Marine Jon Basilone. He later joined the cast of the acclaimed HBO series “Treme” as a series regular.